Magic is bound to happen when you combine two sustainable architectural powerhouses. 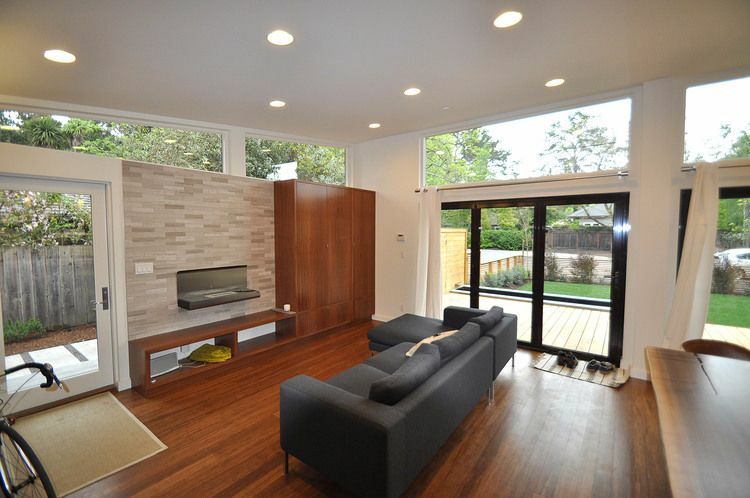 Such is the case with this elegant modular home. In collaboration with Studio 101 Designs and construction company Blazer Industries, Michelle Kaufmann Studio sought to create a modern, energy-efficient house that makes full use of the space confinements that come with two shipping containers. Mixing and matching materials and textures throughout, the finished masterpiece is definitely worthy of praise. 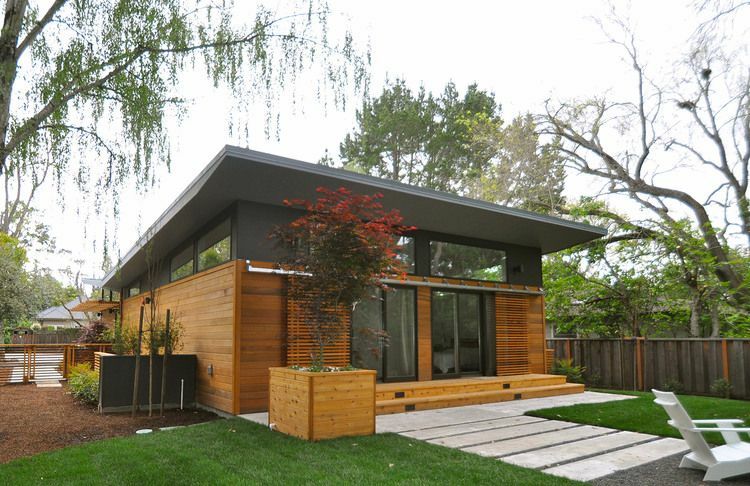 Take a look at what makes this Atherton, Calif., residence a tiny living treasure. Some gifts come wrapped in bows; this Northern California house is enveloped by its lush railed fences. As you gleefully begin unwrapping this charming gift, take some time to appreciate the finesse in its construction. 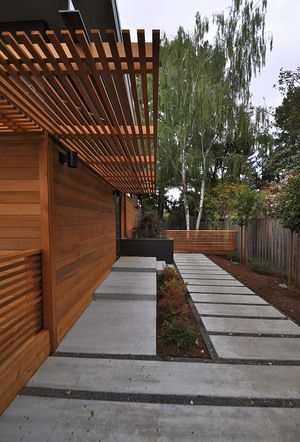 Clear cedar siding completes its aesthetics and produces a quintessential contemporary ambiance. Whether you feel like entering this house from the front, back or side, you will be amazed by the interiors as soon as you step inside. To create the illusion of a larger space, Michelle Kaufmann Studio chose to experiment with high ceilings, open-plan rooms, large windows and the wonders of natural lighting. 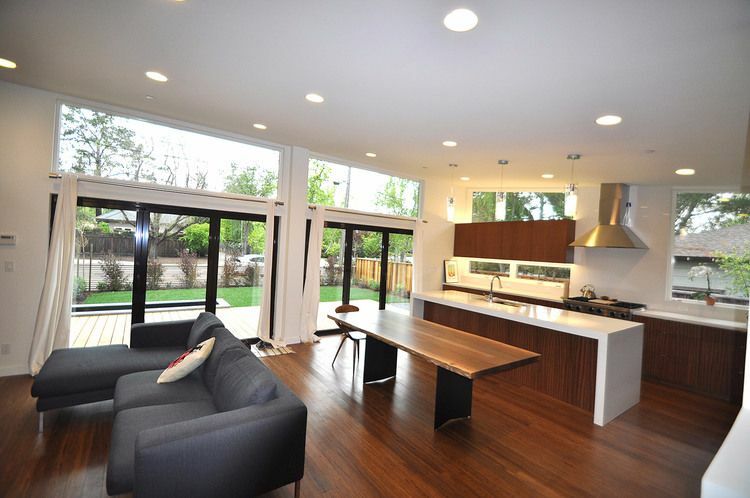 The flooring, made with strand woven bamboo, harmonizes with the house's gleaming white hues. As much as you may love the natural night sky, you don't need to go off the grid to feel like you're relaxing under the stars. Just ease into this modern couch and let the interior lights soothe you. 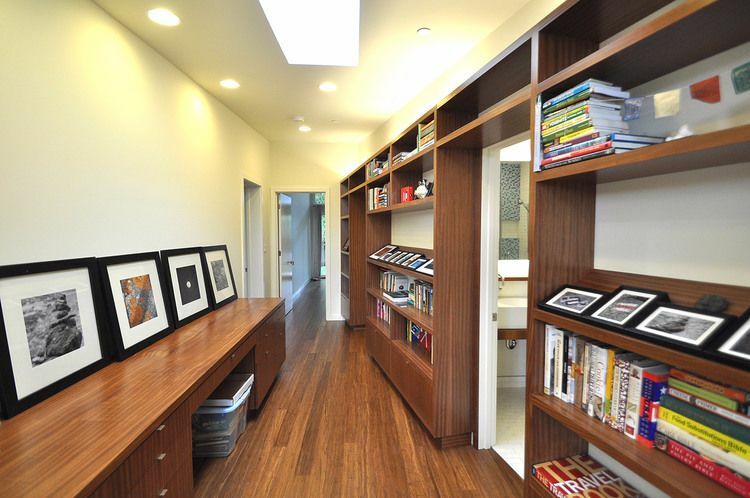 Even a narrow hallway can be embellished with practicality in mind. Check out the portraits and books that line the walls. Mirrors can really liven up a room. 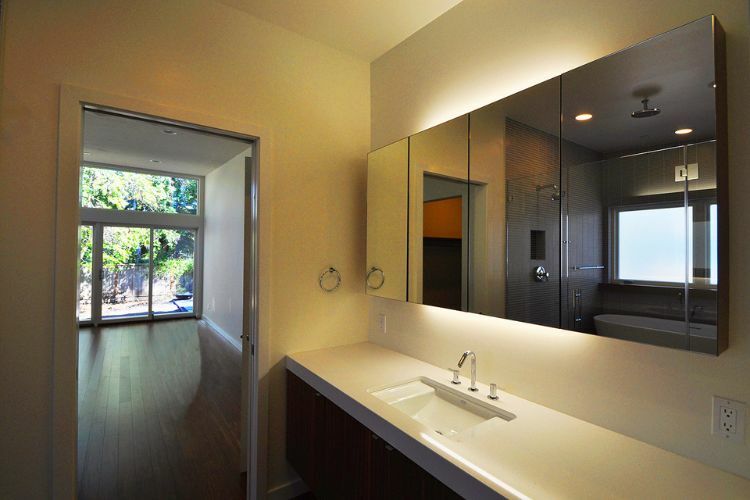 This container home's bathroom takes it one step further by creating a spotlight illusion for its reflective protagonist. 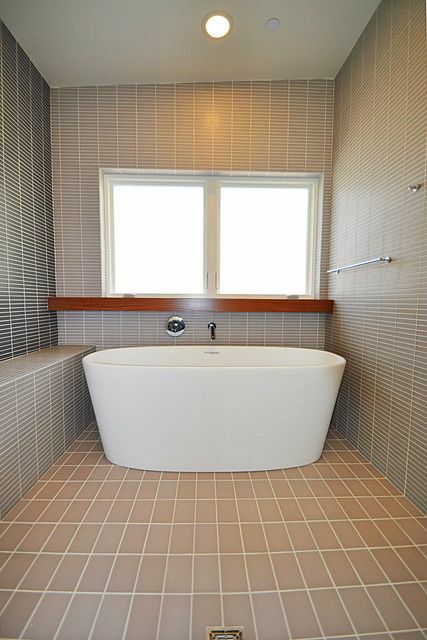 But that's not the only spectacle on the show: The bathroom is spacious enough to fit a shower and a bathtub. 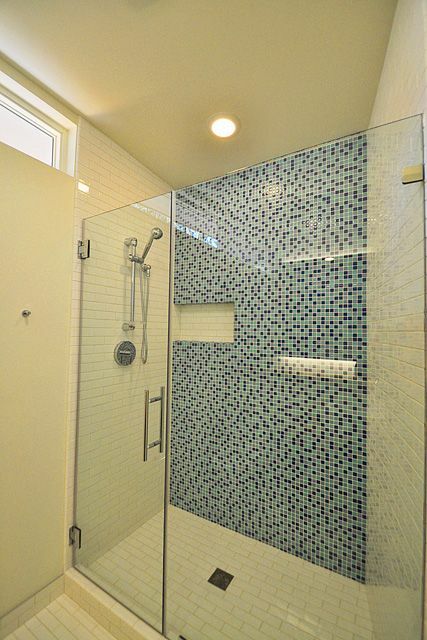 Both of them, you soon notice, have been jazzed up by using contrasting tiling patterns. Admittedly, the tub is a on the small size, but the option is there for days you feel like unwinding with a warm bath. This dwelling offers a lesson in luxury. 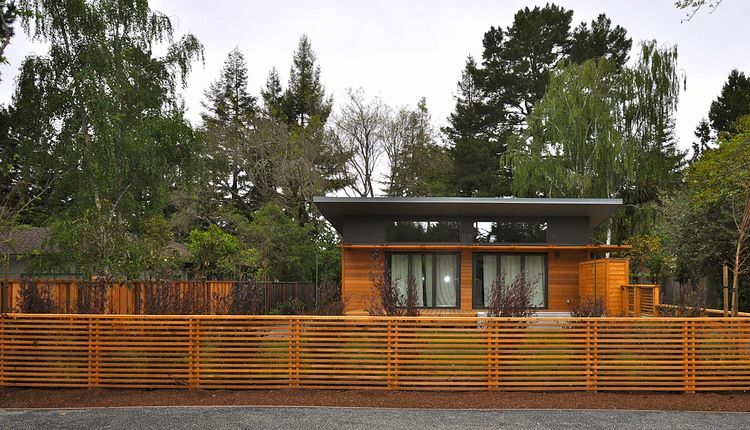 Container homes strive for environmental friendliness, and these modular construction masterminds stayed true to form with this state-of-the-art Northern California residence.